Despite the many complaints I see on mediums such as Twitter about the manner in which large companies behaves towards their customers, it’s depressingly true that if they offered a 3 quid bet, many line up like soldiers to sign up. Precisely why I look upon complaints from those who have signed up with something approaching disdain. Why are you surprised that they care so little about your business? Corporate Bookmakers ‘increase’ their worth, by making a series of unsustainable offers whilst growing your customer numbers. The few million you lose offering ten places on the Grand National, dwarfed by the deals done to acquire the businesses. The modern punter has a grab a penny attitude. I read one punter saying that ‘he was never going to support on course Bookmakers.’ Reason? Some of them were offering a fifth of the win odds in a handicap race, where off course supermarkets were a quarter for a place. The fact that ring wide there are, in fact, plenty of bookies prepared to offer a quarter the odds, entirely escaped this argument. The On Course market is endlessly pressurized by the availability of betting APP’s – and greedy short-sighted Racetracks ramping up their prices in the face of declining margins and turnover. Then we have the ‘vested interested party’ in debates about who to bet with. The burgeoning crew of professional ‘matched bettors’ who wait on opportunities to match wagers to their advantage, bookmaker odds against betting exchanges. A group characterized by two notable traits. They think their excessively clever to finally find a way of beating the bookie, even if the system is so simple. It astonishes me any of these individuals, and their Sisters, moan about being shut down. I suppose it’s because they imagine Bookmakers to be as simple as they are. They consist of some of the most arrogant group of bettors out there, with no respect for not only Bookmakers, but for regular punters, who for the most part continue to lose to Bookies. They sneer at such individuals. In all these debates, based on differing views of both Bookmaking, and punters, I’m stuck by the effect of such attitudes on the ever declining Racetrack and independent Bookmaker sector. This is the section of betting that, in my opinion, represents the traditional relationship between a Bookmaker, and his customer. A corporate Bookie treats you as a number. There’s no ‘personal’ in the relationship. Ask yourself one question. Imagine you walked into Sandown Racetrack and saw no Bookmakers in the ring. How would you feel about your eternal sniping for 8/5 when something was quoted at 6/4? What a boring and depressing betting environment that would be. I wonder if those who favour betting hypermarkets over small enterprise appreciates fully what a racetrack would look without Bookmakers? How sterile it would become. Even those who do not bet still enjoy the ring’s colour. You see in all these monotonous calls I hear for better odds, more offers, money back guarantees, people are gradually voting for a world without service, or more importantly – fun. My Father used to say to me that people would come into his shops because winning off John Banks was far more fun that a faceless entity like Coral. Of course, it was. So, whilst you all sit there, in your underpants with your mouse, fiddling about the websites looking for 2.62 instead of 2.60 – remember that with each offer you sign up for – you’re giving one more resounding vote for said corporate Bookmakers to treat you in any way they see fit. Why should they respect you when you behave so predictably? You are worthwhile only insofar as wet behind the ears ‘traders,’ who’ve never laid an egg in their young lives determine you’re ‘too sharp’ to lay a bet to. Reward companies, who lead on restrictions, with your business, because their websites let you ‘cash out’ a winning bet, when an independent might not, remember that’s a vote for a decline in service. In the meantime with cashout, you’re casually accepting the worst deal in Betting. Congratulations. And whilst they busy themselves amalgamating into one or two global Betting supergiant, and you’ve voted the independent Bookmakers out of business, you used to enjoy wagering with, that’s another tick in the box for a decline in choice and value. 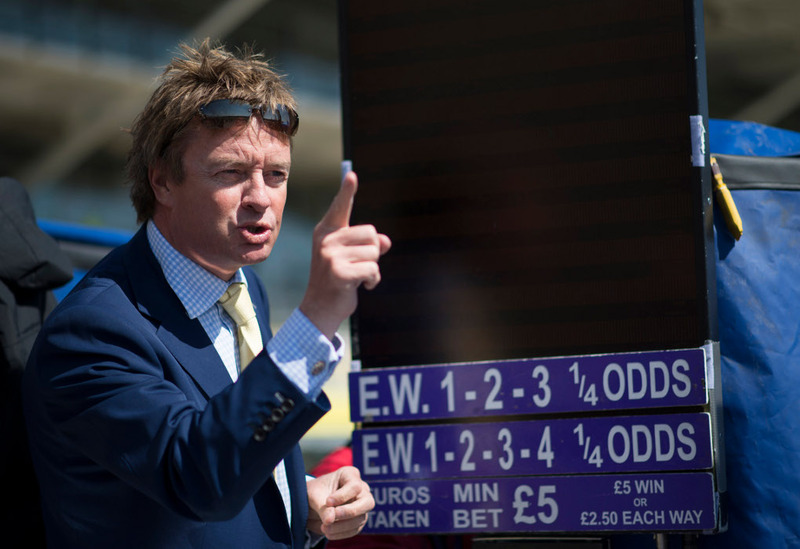 They’re not buying each other up to offer better value or choice..
A few months ago, one of the legendary family Bookmaker outfits, Richard Power, went out of business in the face of declining turnover. It didn’t offer an online presence and I supposed it weighed against them. It didn’t merit much copy in the Racing Post, less on the Racing channels. The respected presence of David Power left all spheres of the game. A bit like your local green grocer going out of business. You know why? Because you’re all too lazy, or greedy, to make the effort to support the small firms. You have a choice. We all respect that. But remember this, for nothing is more true. The bigger a company gets, the worse its service standards and ideals. Remember the little firms when you’re betting. It will pay in the long run. It’s a fallacy to imagine they’re not competitive. The difference is they will appreciate your custom. I certainly value my client’s loyalty. And when you go Racing? Better favour the course market there before you end up with a faceless Tote, or ‘racetrack bet.’ Remember the famous Grand National 3 percent per runner hoopla? Now try 4 percent per runner (25% worse) in every race every day. With regard to Skybet, and I admit to knowing a little but not being an expert here, I believe that should be 13 times earnings rather than “income”…a rather significant difference, and a pretty standard valuation for a company . A quick ‘net search would tell you that the CVC deal for Skybet a few years ago was valued at approx. 15 times earning and they have exited with a huge profit. Stars might yet do the same. Next Next post: Where is the Regulator?